The first ever selfie centric smartphone from ASUS that ever hit the Philippine market, known as the ZenFone Selfie (see unboxing here), is currently on sale on Lazada for only Php6,499. That's from its current regular price of Php9,995. In fact, that Php9,995 price tag is already discounted. When it was initially launched in the Philippines in 2015, it was originally priced at Php11,995. 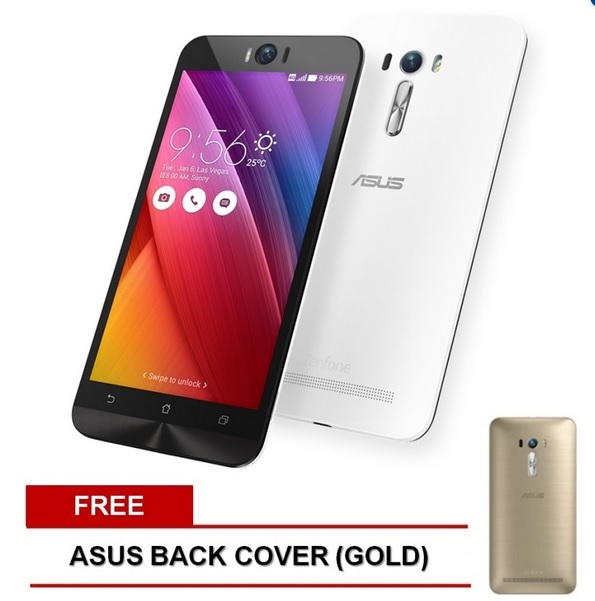 Additionally, this promo from Lazada comes with free back cover in gold while the unit itself is in white. Being a selfie focused smartphone, the ZenFone Selfie has 13MP camera set up both on the rear and the front panels and both equipped with dual-tone LED flash. Plus the camera also comes pre-installed with ASUS's own Beautification App for an instant and quick touch up on the selfie pics before users take the shot and share on their social media accounts. As for the display, it sports a large 5.5-inch Full HD display with Corning Gorilla Glass 4 on top for protection. The ZenFone Selfie is offered in two variants, 2GB RAM/16GB Storage and 3GB RAM/32GB, but the one we got here is the bigger version. The storage is expandable via microSD card up to 128GB. OS wise, it comes pre-installed with Android 5.0 Lollipop, but an Android 6.0 Marshmallow have already been released. So when you boot up this phone for the first time, you should immediately get a Marshmallow update notification. You can now head to this page on Lazada to place your order for the ZenFone Selfie. Cash on delivery is available and it also comes with free shipping service. Plus you don't actually need to create an account on Lazada to place an order and take advantage of those COD and free delivery. Don't know how to place order on Lazada? Check this out.